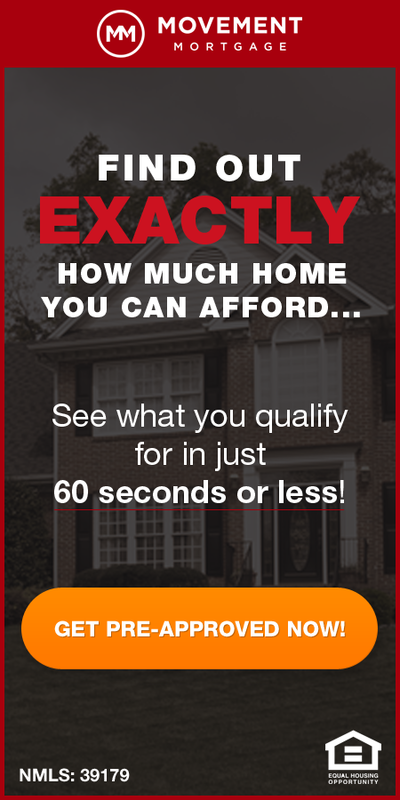 St. Louis foreclosure activity increased in August by 29.09 percent from July with 1 of every 682 St. Louis homeowners having a foreclosure filing according to RealtyTrac’s foreclosure market report that was just released. 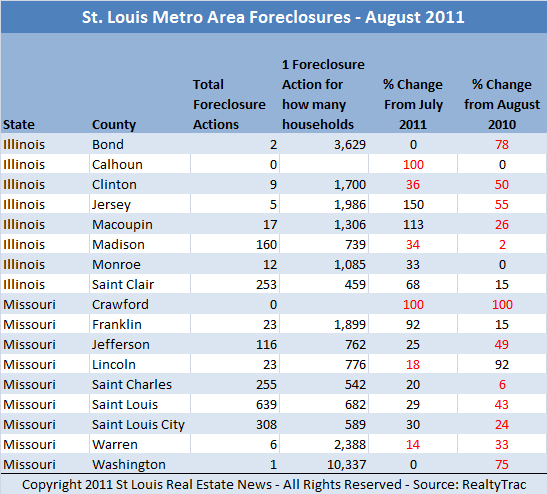 As the chart below depicts, of the eight largest counties in the St. Louis metro area all but Madison County Illinois saw an increase in foreclosure activity in August with Macoupin County Illinois leading the way with a 113 percent increase. Only two of the seventeen counties in the St. Louis metro area had an increase in foreclosure activity in August from the year before, those being Lincoln County Missouri with a 92 percent increase from the year before and Saint Clair County Illinois with a 15 percent increase. On a national level, there was only a 7 percent increase in foreclosure activity in August 2011 with a 33 percent decrease from the year before. So, while we still have quite a ways to go, at least we are seeing an improvement this year from last.